For sale : Used Air Classifier ( Grinding Mill ) with screw feeding, cyclone, dust collector and control panel. Machine is just 6 years old and in excellent working condition. All grinding parts in stainless steel C - 316, for fine grinding of Powder and Chemicals. Powered with 10 HP Motor and Dust collector Blower with 5 HP Motor. Price Rs. 3 Lakhs. 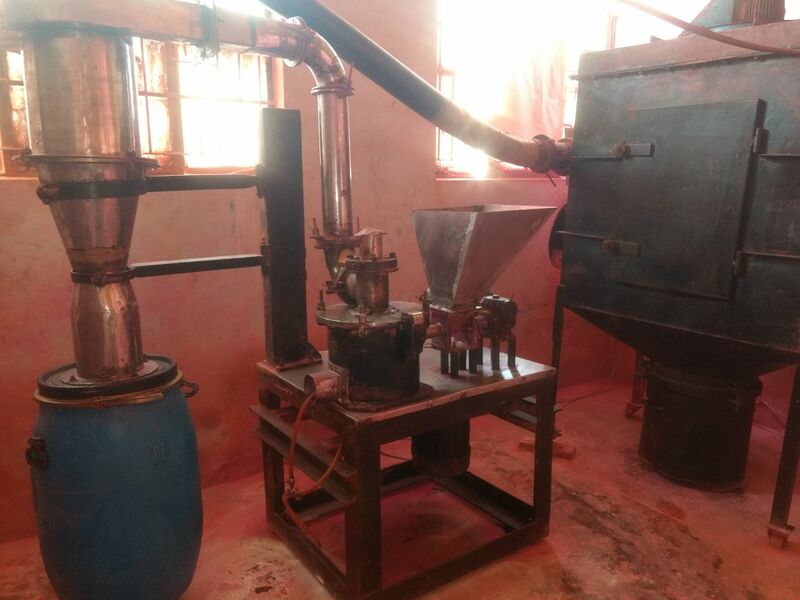 It is an excellent Pulverizer equipment for Fine Micronising of Powders.